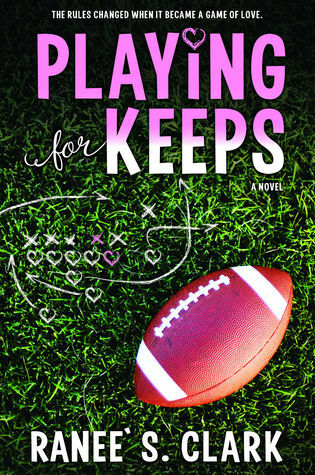 Playing for Keeps is a super fun read for sports fans and graduates of BYU…or for anyone looking to pick up a clean romantic adult contemporary book this summer. I enjoyed the pacing of the story told from dual points of view. Ty is a football coach’s daughter attending a coaching class with her all-time favorite player and idol Rocket Rogers. She’s been happy to watch him from afar and finally has a chance to catch his eye. Anthony “Rocket” Rogers is an infamous player (in more ways than one) who is soon discovering his heart may be lost to Ty. There are really important topics such as mental illness, social media privacy and real life stalking addressed. As a former victim’s advocate for women who volunteered near the very area this story was set, I was hoping to see more resolution with the violence against the main character and the stalking that occurs. I am glad the author mentioned the possibility of police involvement, but was hoping for a bit more follow through on conflict resolution. The story wrapped up a bit too easily in the end. Overall, I truly loved Playing for Keeps. The detail in the characters, the banter, the witty conversation and the college campus BYU specific setting was awesome. I finished it quickly and was drawn to the uplifting tone that reminds readers to be yourself, take chances and trust in the power of prayer. The charcters are likeable and I found myself smiling in the end. I would recommend it as a clean pick for adults. Ranee` and her personal superhero, her husband, live in Wyoming where they are raising three future super-villains. 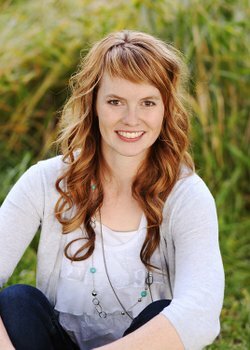 When she’s not breaking up impromptu UFC fights in her living room or losing to one of her sons at Uno, she loves to read and write. She has a bachelors degree in history that is probably useless, but she had a lot of fun earning it. She blogs about writing, reading, and editing at http://raneesclark.blogspot.com.